This OEM customer designs and markets a full spectrum of Training and Simulation Systems for air, ground, and naval platforms. Linked together for interoperability, their training solutions simulate complex scenarios for which coordination between multiple teams is crucial for success. Alexander Schneider was asked to design the hardware for a mobile simulator container according to the customer’s specifications. 3D modelling of the container and its full content. Converting an ISO container to multiple simulation rooms. Design and Install isolator pads for the generator. Custom manufacturing of operator workstations. 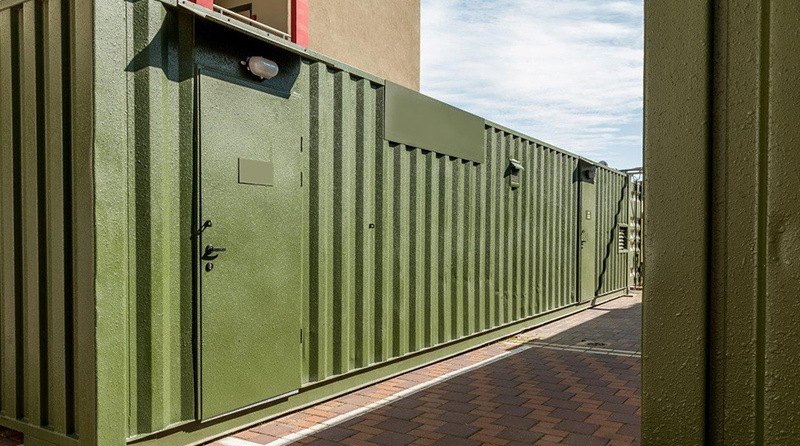 Containerized thermal insulation and air-conditioning solution. Acoustic shielding of the containerized generator. Alexander Schneider delivered the containers in record time, enabling the customer to focus on its core software activity and reduce the project total cost.